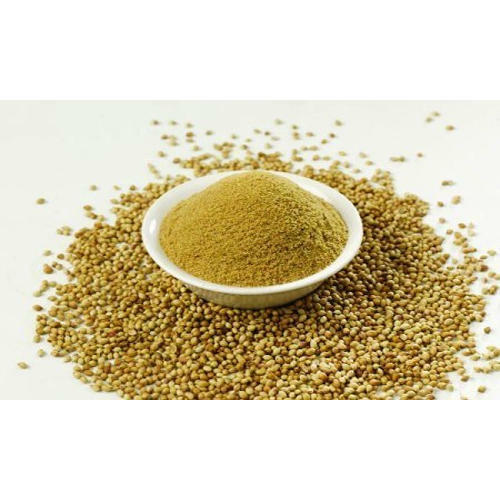 Coriander Powder is derived from the seeds of the coriander plant. It adds a mild flavour and aroma to sweet and savoury food preparations. Most commonly, it is bought as whole dried seeds and ground as and when needed, but it can also be found as a ready made powder. We Lalan Star Exporter, Established in the year 2011 engaged in manufacturing, exporting and trading with excellent quality of Natural & Organic Products. Our products range of Wheat Grains, Fresh Flour, Indian Peanuts, Indian Pulses, Indian Spices, Masala Mari Papad, Fresh Mangoes and Pulp, etc. are taken from trusted industry certified vendors, sorted with hygienic process at vendors end with advanced technology. We are offering best quality range of products that can be avail from us at market competitive price, and our product natural source multi vitamins, minerals and nutritious. Our products are compliance with the international merit norms to preserve their nourishing, highly praised, nutrition quality, natural fragrance, delicious taste, and free from artificial colours. Our customized packing option comes with containers including Boxes or Crates, Drums, Loose or Unpacked or Pallets for our esteem clients. We also preserve an amicable and a permanent relationship with our vendors to receive bulk orders from clients with a respective manner. We are having a team of special professionals, who close sync with purchaser for their primary requirements on time. Our advance infrastructure establishment that enables us to accomplish varied business processes with ease. We go through a comprehensive market investigation for vendors. We ensure that the offered products are dairy tested monitored on various set of industry norms. We observance different training sessions and enlightening schedule for the team members with the new market trends. We constantly focus on high counts of contentment for our clients in a respective manner. We do acknowledge the valuable feedback from our clients to improve the quality of our products. We have set-up a quality testing unit that is manned by versed quality inspectors. Our unit carries out quality oversight at right from the procurement of products to packaging and consignment of products. With support of a wide delivery network, we ensure timely delivery of our product enabled us to build and sustain a huge client base across the nation. Under the proficient guidance of our mentor, Mr. Hardik Patel, we have successfully established a strong foothold in the domestic market.